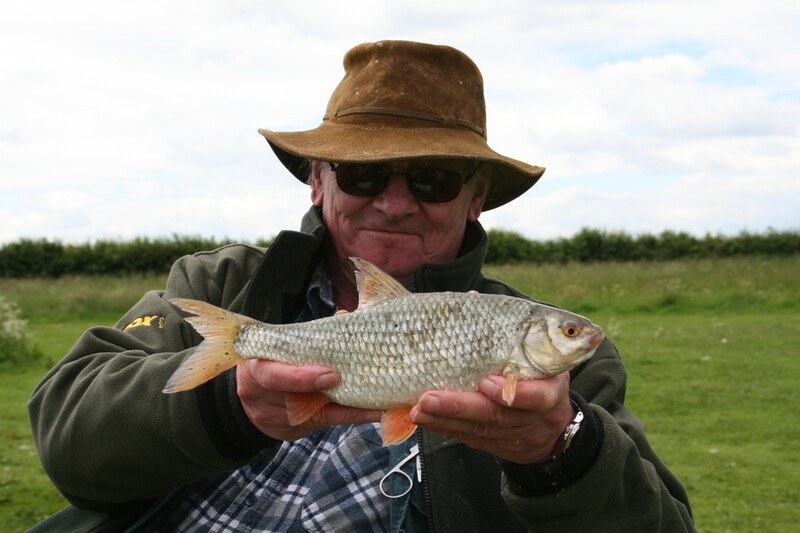 I was first introduced to this fishery some 5 years ago by Jim Baxter, the then Editor of that once fine angling publication: “Angling Star”. My first trip out there was purely to have a look see, and quite honestly I wasn’t impressed. It looked like a moonscape. However I soon heard that the middle lake, what became known as the “Specimen Lake” was producing nice tench, certainly big tench for this part of the world; and with tench being one of my favourite species, I decided to give it a go. That first short session produced one bite, a 5lb 12 oz female tench to double caster/dendrobena cocktail fished to a size 12 hook and a lift float set up. Yet in spite of this very good fish I neglected the fishery for several years, three of them spent fly fishing. Then two years ago I decided to return to Alderfen to give it a try. On reaching the three lakes, I was astonished at how beautiful they had become. And the fishing was good too. 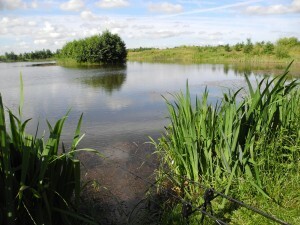 Alderfen is managed by Dave Walker, a one time Sheffield carp angler and specimen hunter, who knows the big fish scene and many of its early protagonists intimately. He has fished with some of the UKs most famous carp anglers, including Rod Hutchinson, Chris Yates, Richie MacDonald and Tim Paisley. Dave Walker in managing Alderfen is realising a dream. This was to have control of a fishery that anglers will really appreciate. The waters are set in a nature reserve and the trees and waterside vegetation are blooming. The Specimen Carp Lake is one of the prettiest waters on the planet. There are three lakes in all, the “Match lake” and the “Specimen Lake” each being about 4 acres each. The “Carp Lake” is 5 acres. The “match” lake is a mixed fishery stocked with roach, bream, small carp, crucian carp, tench and rudd. Typical winning match weights are in the 50 lbs bracket. The lake has numbers of tench over 5 lbs plus some really excellent roach. I have caught roach here to 1 ½ lbs and Lee Swords has had them bigger. As a word of warning there are a few very big carp in the high doubles category here. I caught a hard fighting 9 pounder which had a number of fine hook lengths and small hooks in its mouth some time ago. One thing you will not find in this match lake is F1s. Dave refuses to entertain the idea. The Specimen Lake is quite different from the match lake. 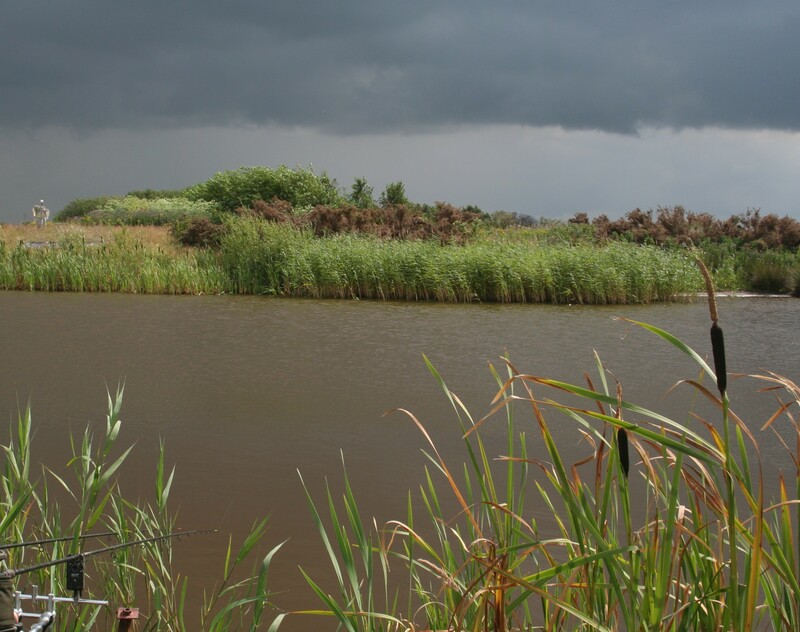 Stocked with big tench, big bream, huge rudd, two pound plus roach and a few carp, this lake is a true classic. Much of the lake is weedy, which attracts negative comments from a few people. But personally I like the weed and there is always a drag available from Dave if you want to clear your swim. 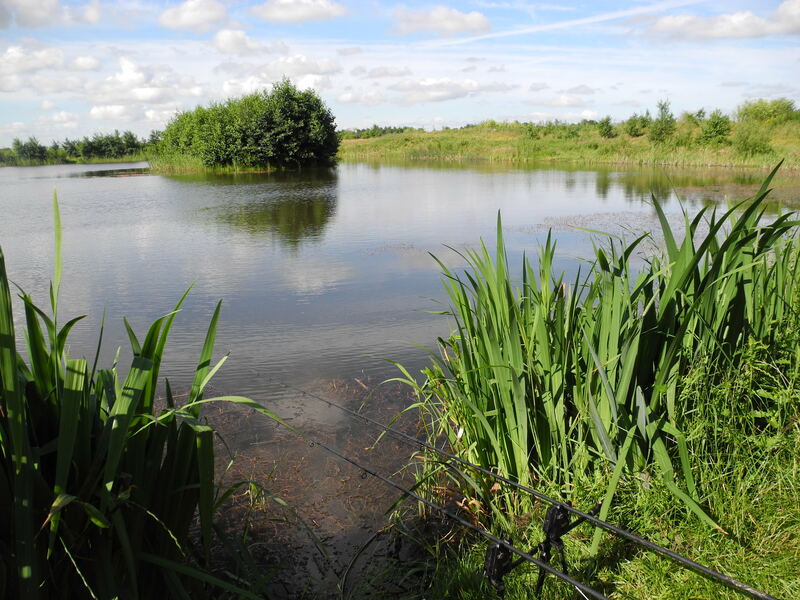 I have spent most of my time fishing this Specimen Lake, I have caught tench up to 6 ½ lbs, bream to 8 ½ lbs, roach to 1lb 10 oz, crucians to 2 ½ lbs, rudd to 2lbs 2oz, and a few long lean feral common “wild” carp that have fought extremely well. One of these carp set off for the central island at such speed, that I thought it may have knocked itself unconscious on reaching the island. 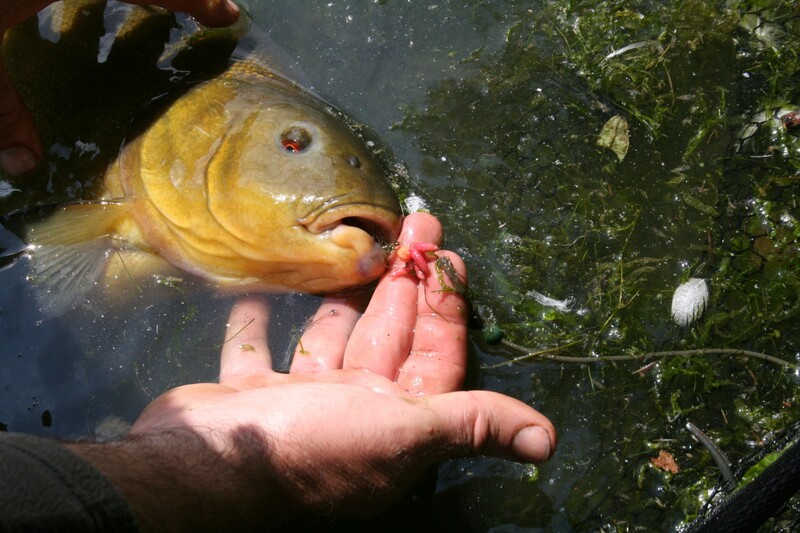 A few tips for getting the best from the Specimen Lake. First of all this lake is much clearer than the other two waters and full use of all the bank side cover is recommended. The tench specifically are margin patrollers so an underhand lob is all that is needed to contact them. I use the method feeder most times with Drennan flat feeders, short braided hook lengths and standard knotless knot rigs to take boilies or pellets in an 8mm or 10mm size. Bait: well up to now for big tench and bream I have been using Mainline 10 mm response boilies in tutti frutti and strawberry zest flavours. I normally give these baits a dip in tutti fruiti Goo from Korda. The tench and bream love them! Method feeder mix? Anything from the Sonu Baits method range plus a liberal amount of hemp. 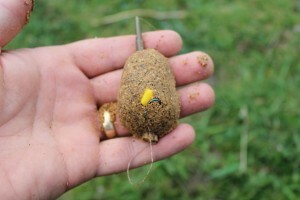 It really is important to groundbait liberally if you want to get these margin patrolling tench into a feeding mood. 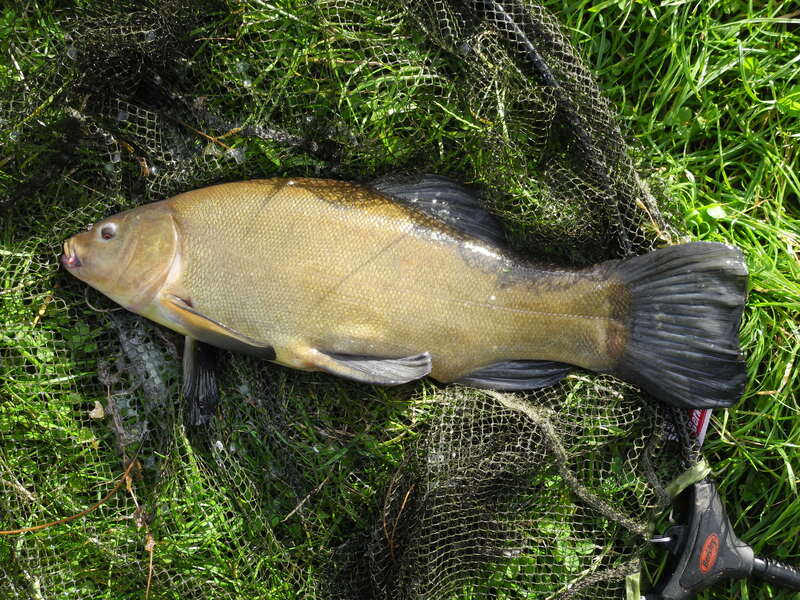 And as these waters were sand pits originally, these tench will often feed in the middle of a hot summer day. 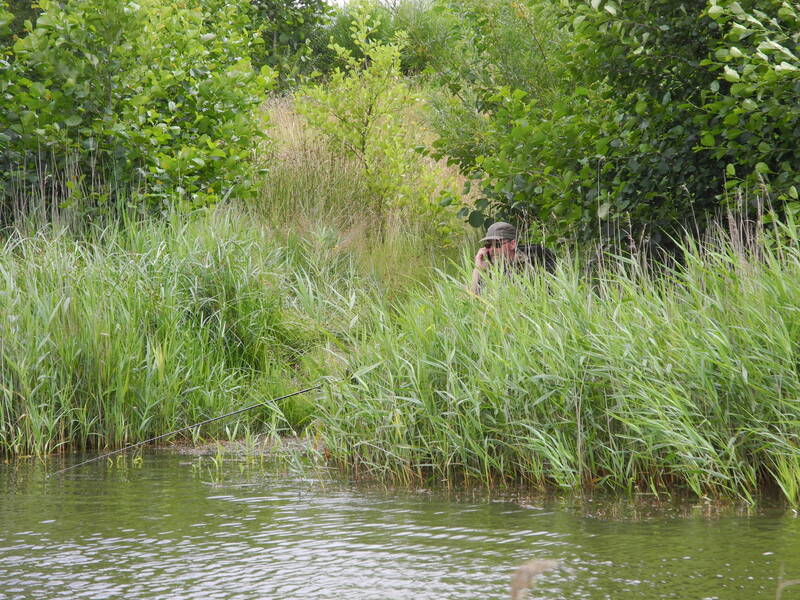 For the big bream, you need to cast some distance from the bank. I often fish two rods, one rod for the tench in the margins, and the other for the bream about 30 yards out. Rods are 1½ lb test curve specials, designed in conjunction with Graham Marsden and Steve Harrison of Harrison Advanced Rods, reels are standard 4000 size baitrunners and mailine is either Pro-Gold 8lbs or Drennan Supplex 8lbs. Hooklength material – Drennan 12lb gravelbraid, hooks, size 12 or 10 barbless Korum Specimen. The Specimen Carp Lake is a real classic. It is stocked with Leney strain commons and mirrors, some of the mirrors have stunning linear scaling. I have never fished the Carp Lake as yet, but I am told the bigger fish are now approaching 30 lbs. 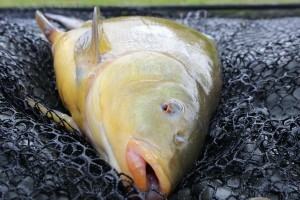 There is a large number of fish in the mid doubles to mid twenty pound category. 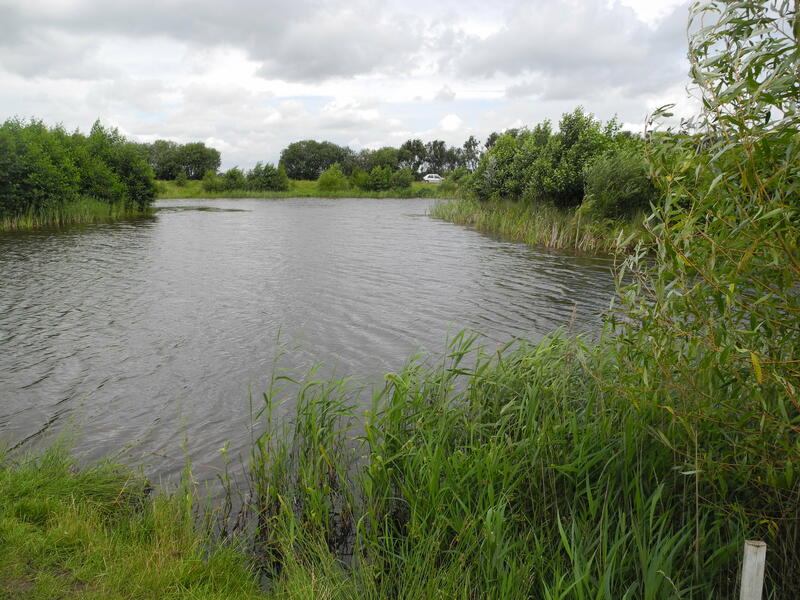 Overall, my judgement on Alderfen fishery is top class, and don’t condemn it for how it looked years ago. do you have contact details of Ron clay.